This book is a step from my comfort zone for various reasons. I don’t usually enjoy purple prose, and don’t really care for books that are set inside mental institutions. But I downloaded a sample, because I liked the title and was hooked on it from page two. If not for the ending, I would sing only praises for this book. I haven’t read in a while a book that combines great plot, interesting characters and mood to rival the best of thrillers. And the writing! This book is about descriptions and could turn into a big mess so easily, yet I glided over the pages, enjoying every word. The plot is decent, although the foreshadowing gave a little too much a little too soon. But I liked how the Authoress didn’t focus only on paranormal or only on mental health issues, but made this a book about human relationships. And how all characters have some credibility ( they are not all likeable, but they have strong backstory to back their choices). Unfortunately, this book proves that there is such a thing as too many good things. 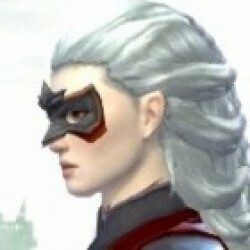 The main character proves to be too unique for anyone’s good, although she’s still believable enough to like her. But the twist, oh the twist. I read the last chapters with huge mental WHAT THE HELL?! Changes like this should be made illegal! It’s like starting to eat delicious soup only to discover it’s actually a cake. Very good cake, but I wanted soup! Make no mistake, I enjoyed every part of the book immensely. 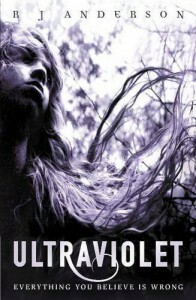 My disappointment is mostly due to a fact that Ultraviolet could so easily made my all time favorites list but haven’t. The ending, although for me horrible, doesn’t seem forced or a getaway from too complicated plot. Still, I recommend it, sometimes it’s good to be disappointed. I will for sure read the second volume.